Say what you want about his ego, but Kanye West has carved a legacy for himself that has extended far beyond producing albums. And seriously, how many people truly know someone as unique as Ye? I’m willing to bet not many, and if you’re one of the few that think you do, I don’t believe you. I mean, this is the same man who almost died in a near-fatal car crash and recorded his very first single two weeks later with his mouth wired shut. This is the man who has repeatedly stood up for his own work after losing out in major award shows. And finally, this is the man who raps about Manolo and Guiseppi Zanotti (seriously… Google that). 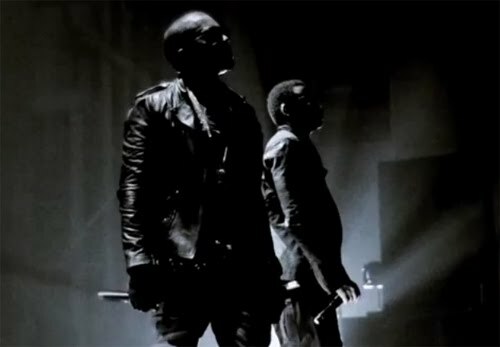 So you know it’s a once-in-a-lifetime opportunity to look behind the scenes of Kanye and Jay-Z‘s Watch the Throne tour. If you can’t (or simply don’t want to) watch Ye and Jay perform “N—as in Paris” eight times in a row with Kanye wearing a kilt, you can at least see what goes on in his head, away from the lights and away from the fame. It’s insightful and for the first episode, it’s also free. Watch here. More information about VoyR after the break. You can also watch footage of “N—as in Paris” being played eight times in a row, taken from the Chicago show. “There are music fans. And there are true fans. Which one are you? Fans download the single. True fans know the whole album. Fans trip on the myth. True fans understand the reality. VOYR is your all-access pass to behind the scenes at Kanye West and Jay-Z’s Watch the Throne tour. It’s a daily video document of all of the actual hard work that goes into living life at Kanye’s level. It’s not about models and bottles. It’s about working hard, from the moment the sun rises, until you just can’t push your body any further. If you want hype, just stay with the music mags and blogs that you already read. If you want to understand the reality of this business from the inside, come inside. We’ve got a seat for you. Five episodes a week. Live from the tour. And you’ll join a community of hustlers that understand how the industry works and are ready to take their involvement to the next level.